Before there was A Place To Bury Strangers, there was Skywave, a three piece noise pop band from Fredericksburg, Virgina. When Ollie left to move to NYC, Paul and John remained and reorganized as Ceremony. While there will be undeniable comparisons made to APTBS (they still remain friends and share an affinity for loud guitars), Ceremony employ a songcraft far more focused on making catchy pop tunes than blowing out speakers and eardrums. 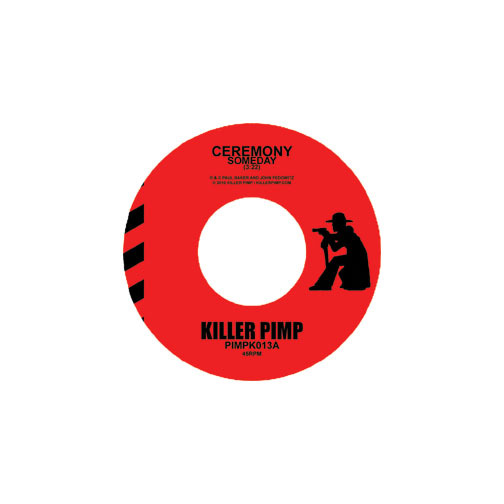 Limited to 500 copies this 7" single is a teaser for the duo's LP & CD on Killer Pimp, Rocket Fire, due early 2010. "Cracked Sun," the B-side is exclusive.